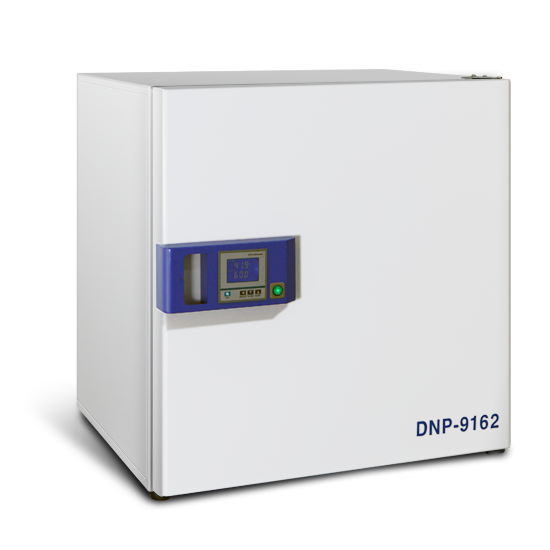 Electric thermostat incubator is often used in modern middle and advanced laboratories. It is suitable for users with high temperature environment. It is produced by advanced numerical control processing equipment. It has a wide range of applications. It can be used as necessary equipment for industrial and mining enterprises, medical and health, biological and scientific research units. 1. Operators need to read the instructions carefully before using the incubator, understand and familiarize themselves with the functions of incubator, before they can turn on the power supply. 2. After switching on the power supply, press the power switch and the power indicator lights up. 3. Set the temperature controller to the set temperature required by the user (this value should be higher than room temperature plus 50C). 4. When the display temperature of the incubator reaches the set temperature, the heating interruption and the heating indicator extinguishes. After 90 minutes of power-on at the standard ambient temperature, the temperature can remain stable, such as when the instant temperature in the incubator exceeds the set upper alarm temperature (the factory is set to 5 C), the temperature tracking alarm indicator of the thermostat is on, and the power supply of the heater is automatically cut off. 5. In the process of using, if we need to open the box door to take samples, the heater and circulating fan will stop working. When the glass door is closed, the heater and fan can operate normally, so as to avoid the pollution of culture and the phenomenon of temperature overshoot. 1. Instruments should not be used under high voltage, high current and strong magnetic field, so as to avoid interference with temperature controller and electric shock hazard. 2. Plating parts and surface finish should always be kept clean. If it is not used for a long time, neutral grease or vaseline should be applied on the plating parts to prevent corrosion. Plastic film dust-proof cover should be put on the outside of the incubator to keep the incubator in the drying room so as to avoid damp damage to the thermostat. 3. The products will be strictly debugged before they leave the factory. The menu setting data of the thermostat should not be modified at will. 4. The incubator shell must be grounded effectively to ensure safe operation. 5. Do not place inflammable and explosive materials for heating, to prevent danger. 6. Do not place high-risk articles to prevent the box from decaying.